This month we celebrate! Seriously can’t believe we’ve made it to 3 years of FF Workshops! Thank-you all for your support and coming out to meet in person! There will be as little talking as possible this month! Bring some stuff & Play What You Bring! 1 minute, 2 minutes, 10 minutes… We will fit in as many performances as we can! There will be cake! In case you missed the announcement previously, there is a new Frequency Freaks Discourse Forum. Head on over, sign up and join the discussion! Of course, bring stuff to sell, trade, and your questions. Have you ever wanted to take some gear to the park or camping? Wondered how you might get power, or how you could mix and record those nature inspired performances? Paul Stillwell is going to talk about this topic and the design of his evolving battery operated jam rig. He may even perform something with it while running on battery power, of course! Derek Simmons will also do a little talk on modular synths and performance. Focusing thoughts on module selection and module placement in a performance case. The first workshop of 2019 is from 2:30 pm to 6:00 pm on January 12. Please join us at the Array Music Studio, 155 Walnut Ave! This month our own Michael Brooker will talk about the Disting Mk IV. Michael Brooker is a recovering jazz musician with an obsession for modular synthesis and musical expression in general. Having completed formal musical studies at the University of Toronto (MusBacPerf, Trombone, Jazz Studies) between 2009-2013, but seeking a new creative medium to express himself, Michael recently built a Eurorack modular synthesizer and has been quickly but carefully studying each of the modules, both individually and in the context of the larger instrument. With plans to attend the Conservatorium van Amsterdam (CvA) in the Fall of 2019, Michael’s passion for electronic music and electronic modes of musical expression are only beginning. We will also have time for performances. Please reply to this e-mail to let us know if you plan to play something. Final Workshop of 2018 – December 8! This is our final workshop of 2018! Hot on the heals of an incredible Toronto Sound Festival we have a presentation that likely should have been a part of the festival. However, space and time being what it is, Angus Tarnawsky will be presenting this one at Frequency Freaks for us on December 8! Please join us at the Array Music Studio at 155 Walnut Ave for what is sure to be a fun final workshop of the year! Bring your gear, play a bit, jam a bit. We look forward to seeing you December 8! This presentation and workshop by Angus Tarnawsky will explore creative limitations as a way to strengthen artistic practice. Specific attention will be paid to “one voice” patching techniques using modular synthesizers and ways of incorporating and interacting with physical space. 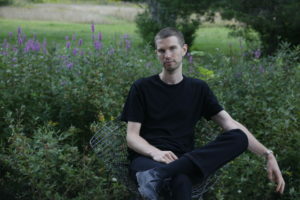 Angus Tarnawsky is a Toronto-based artist and musician. Drawing from experience as a drummer and audio engineer, his work explores site-specific relationships between sound and technology, combining aural and visual elements across installation and performance. If you plan to do a performance a little heads up would be nice to let us know your plans. Just reply to this e-mail and we will get back to you. Biologik and Not Your Average Worker Bees at Frequency Freaks June 16 Workshop! This month we have Biologik talking about The Beauty of Random – Using Randomness to develop melodies. We also have Not Your Average Worker Bees performing a short set to introduce the newest Bee. This set will combine live improvised electronic music with live, improvised digital and analog visuals. There is always room for more music! Bring your gear, show it off, ask questions, get answers, play a short set! Not Your Average Worker Bees is an interesting project as it has come together as a direct result of Frequency Freaks! Their music finds it’s roots in both experimental electronic music (avant-garde, Musique Concrête) and traditional Berlin School offerings (Tangerine Dream, Node, etc.). The members feel that the addition of live visuals has taken their live creative dialogues to new heights! Biologik is a man with a long history in the underground dance scene. Part of the trio of musical visionaries responsible for the foundation of the Proton Radio concept in 2002, the Canadian has gone on to become a leading figure in the world of music production. 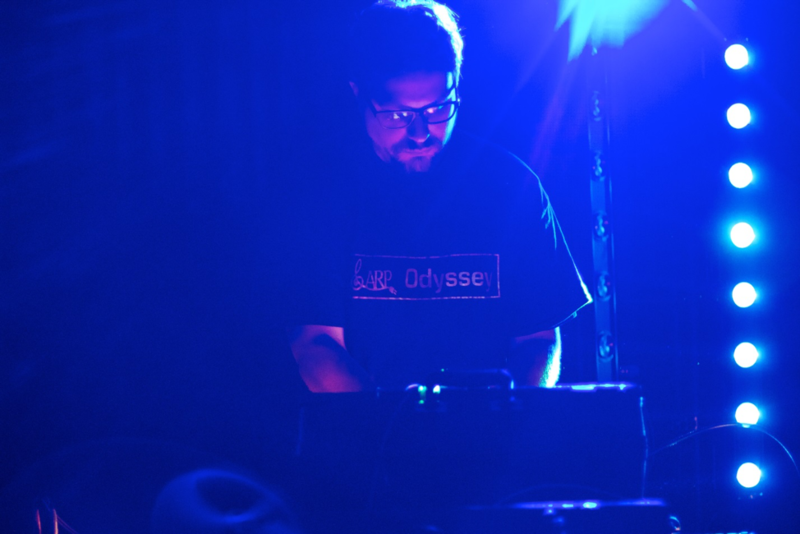 A man whose talent centres upon the use of outboard synths and modular equipment, the Biologik sound has seen the Toronto resident flourish in both the live and studio environments. A self-proclaimed love of “lush pads and crunchy beats” has seen Biologik develop a distinctive production style that encompasses elements of progressive, deep and tech house with a smattering of techno thrown in for good measure. Live personal appearances in North America and Europe have become a staple of the Biologik sound as has an enviable production career. Three full-length albums for Proton Music and Silk Sofa are the centrepiece of an extraordinary body of work that includes a Beatport “Album of the Year” in 2013 for “Two” and a collection of downtempo offerings in “Dreamcatcher” that offers music from the Biologik soul. Alongside, a half-century of production credits for Black Hole Recordings, Pure Trance, Pure Progressive, Particles, Proton, Stellar Fountain, Sleepless Nights and ICONYC tell the story of a man full of passion and talent. Biologik also produces soundbanks for various synthesizers including the Elektron Analog Four and has a forthcoming pack for the Moog Sub-37. Jeff Lee, a Toronto-based manufacturer with a special interest in bringing classic analogue designs to the Eurorack modular format and the dude behind System 80 who make the Eurorack Jupiter 6 filter clone, the JOVE, will be joining us at Frequency Freaks on April 14, 2018. He will talk a little bit about System80, his Eurorack company and bring some demo modules and prototypes to show and listen to. However, the main focus will be about designing an analogue polysynth! Hope you have all received some nice, noisy gifts over the season or been able to take advantage at some of the awesome sales that have gone (and are still going) on! We have a pretty cool workshop lined up for the first one of 2018! For those who haven’t heard, there is a new manufacturer in town making some pretty cool modules! Matthew Skala from North Coast Synthesis is going to join us to talk about his current offerings, and future plans. Check out https://northcoastsynthesis.com and his bio below. Back in November, some of us went to see our own Android Dreams perform at The Cavern in downtown Toronto. It was a very cool show! One of the other acts on the bill was jefftheworld. 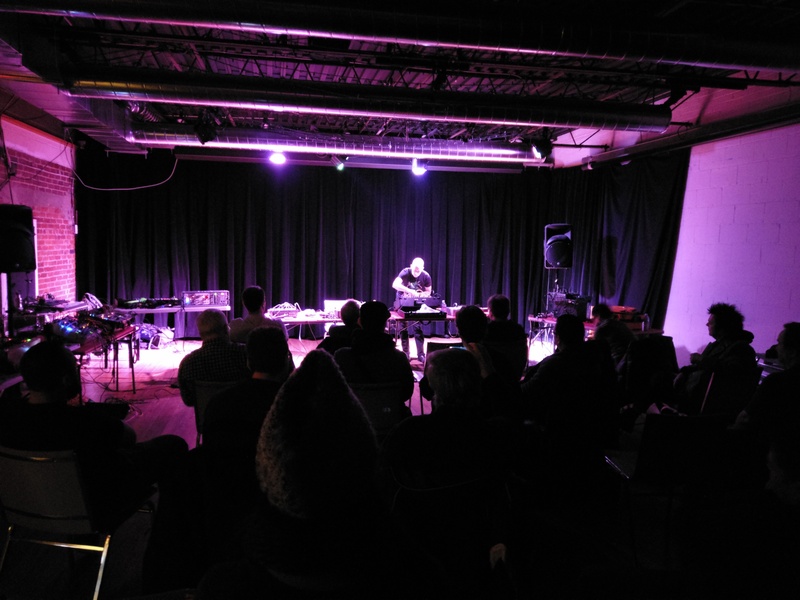 Jeff Alyanak does device hacking and circuit bending to create his synthesizers and then uses them for performance. After talking with Jeff for a bit after the show we thought it would be cool for him to come and show us how he does that. So, Jeff will also be coming to share some cool stuff with us and maybe do a little performance! You can check out his web site at https://jefftheworld.com and his bio is also below. Matthew Skala got his start in hobby electronics in the 1980s, spent some time in amateur radio, and even completed one of those NRI electronics correspondence courses that they used to advertise in magazines, before the Internet hit and digital computers became the big thing. Then he pursued computer science for a while, earning a PhD from the University of Waterloo. He specialized in high-dimensional geometry and its applications to such fields as security, database search, and computational linguistics. He spent about 15 years in academic research and teaching at universities in Canada and Denmark. In 2017 he left the academic world to start his own business in Toronto. North Coast Synthesis brings the fine art of handmade electronics to Eurorack modular synthesizers. North Coast products are meant for serious hobbyists and do-it-yourselfers, with a focus on top-quality components; excellent technical openness and documentation; and long-term maintainability. Jeff Alyanak is an avid gamer, programmer, hacker and DIY fanatic. He grew up as the son of a music studio owning father and a singer/songwriter mother, so it’s no surprise that he put all of those elements together and began using his old game boys & nintendos to make crazy music with antiquated programmable sound generators. “Heavy basslines, frantic rhythms and airy leads. With an arsenal of antiquated hardware and software – Game Boys, Atari computers, DOS software – coupled with cutting edge and homebrew technology – Kaoss Pads, circuit-bent keyboards, Guitar Hero controllers – jefftheworld pumps out some seriously fun music. 1st Anniversary 3 Module Patch Challenge! Frequency Freaks is now 1 year old… Happy Birthday to Us!!! To celebrate we are going to host a 3 Module Challenge. Build a patch with only 3 modules a la #3modulechallenge. There will be at least one prize too! We will let you know what it will be soon… in other words, we haven’t decided yet 🙂 . But honestly… you should be doing this for the glory! No fully featured voices (mother 32, ToneStar 2600, Atlantis, etc.) Elements is a bit grey… ok if you have to, but… see the last point. No sample loops (drum loops, chord sequence loops, melodic sequencer loops). If you do use a sample, it must have been made by you (e.g. your own field recordings are ok). If one of your modules is a looper, go ahead and use it… just don’t preload it in a way that goes against point #2. Cable based attenuators and stackable cables are ok.
Output modules don’t count against your total. Try and stick with the spirit of the rules. If all you have is Elements as a sound generator, then that’s what you’ll have to use… Still – no Mother32’s or Tonestar 2600 style things that could do a 1 module patch. So, bring your rig to the next Frequency Freaks event on April 8, 2017. Perform your patch, or play it, or let it play… however it is intended to work. Everyone who attends will vote on the best Frequency Freaks 1st Anniversary 3 Module Patch! The winning patch will be immortalized in a video on our youtube channel. Big Shoutout to DivKid, and the guys from the Modular Podcast for letting us borrow the idea. Looking forward to hearing your patches at the next workshop! The February Frequency Freaks Workshop is Saturday! That’s February 11 for those who are counting ;-). 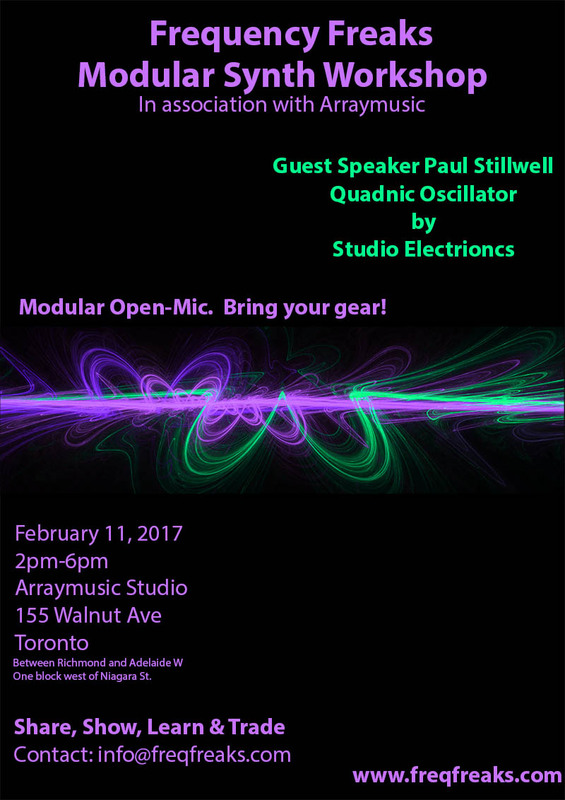 This month Paul Stillwell will show off and talk about the Studio Electronics Quadnic Oscillator. You should be getting to know the gear you got for Christmas, Hanukkah, or whatever by now… so why not bring it with you? We’d love to see it AND hear it! We have performance slots open so feel free to bring your stuff and show a friendly audience what you are working on! Robin Heisey will give a presentation titled My Dinner with Wendy. Derek Simmons (rezzn8r) known for Frac and Modcan B systems will be performing on his new Eurorack. Paul Stillwell (Intrepita) will perform using the Mother32, BFAM (Brother From Another Mother – built at Moogfest 2016), and two pedals by Industrialectric – the Echo Degrader and the RM-1N. We are still looking for one or two more performers. So, if you are interested in giving it a go, please let me know so we can plan our time and space accordingly and add you to the web site & flyer. Our next workshop is on June 11, 2-6 pm. It will be a busy weekend with Unsound at night on the 10th and 11th. Which, by the way, you should all be attending! Looking forward to seeing you all not the 11th of June! Please reach out to us via the contact form if you or someone you know is interested in performing!